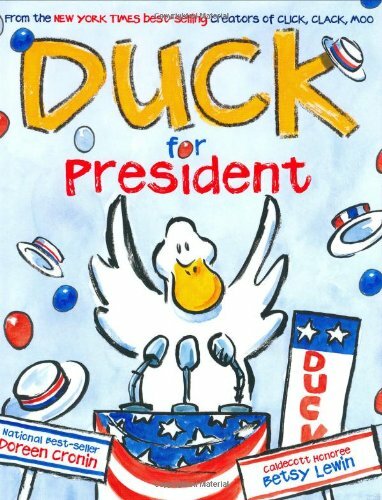 My fellow Americans: It is our pleasure, our honor, our duty as citizens to present to you Duck for President. Here is a duck who began in a humble pond. Who worked his way to farmer. To governor. And now, perhaps, to the highest office in the land. Some say, if he walks like a duck and talks like a duck, he is a duck. We say, if he walks like a duck and talks like a duck, he will be the next president of the United States of America. Thank you for your vote. On a snowy New York City morning, families who have journeyed to the United States from many different countries take the oath of citizenship at a downtown courthouse. 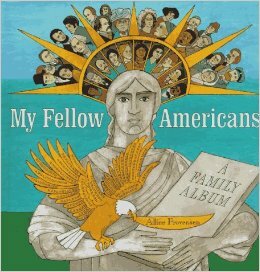 Alice Provensen creates an album that reveals the words and deeds of fellow Americans in elegant pictures brimming with lively detail. An eclectic sampling of Americans is represented-from Pocahontas to Henry Ford, Sojourner Truth to Jim Henson, and Al Capone to Dr. Seuss. 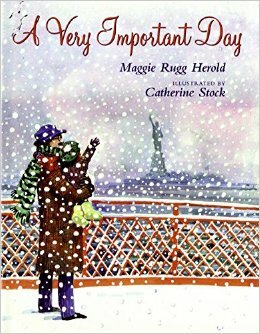 By showing us the myriad personalities who have influenced our lives, Mrs. Provensen provides remarkable insight into what it means to be a part of the American family. 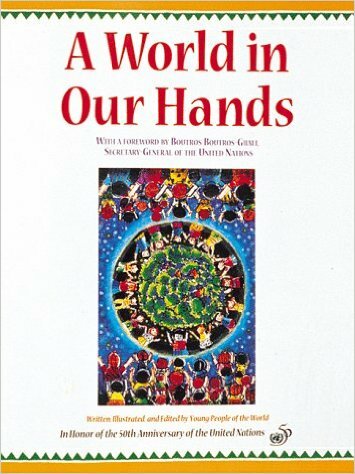 The only official United Nations’ Fiftieth Anniversary book written and illustrated entirely by children from around the world explores the mission of the UN and what role kids can play in making the world a better place. 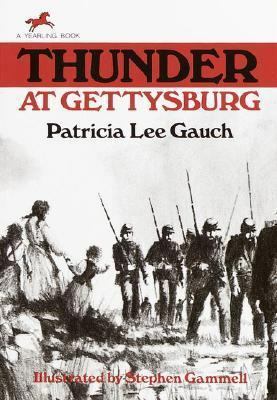 Fourteen-year-old Tillie is sent to accompany a neighbor to Weikert’s farm when the fighting at Gettysburg gets too close to home, but finds herself trapped in the battle that raged for three days, from July 1-3, 1863. 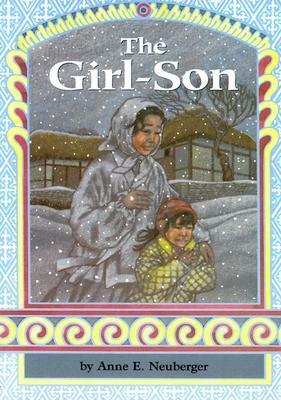 A story based on the life of Induk Pahk, a Korean educator, whose widowed mother disguised her as a boy at the age of eight in order for her to attend school, a choice forbidden to girls in the early twentieth century in that country. With her trademark humor and anecdotal style, the Newbery Honor Award-winner and preeminent biographer for young people turns her attention to Elizabeth Cady Stanton, the lively, unconventional spokeswoman of the woman suffrage movement. 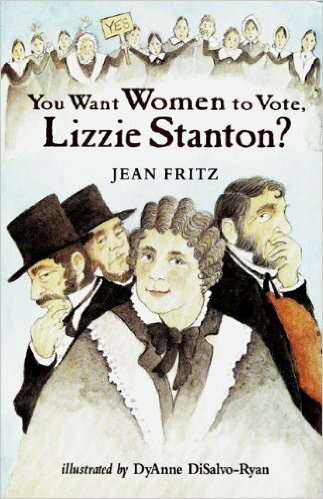 Convinced from an early age that women should have the same rights as men, Lizzie embarked on a career that changed America.